Macht und Ritual - Das Koelner Heil. 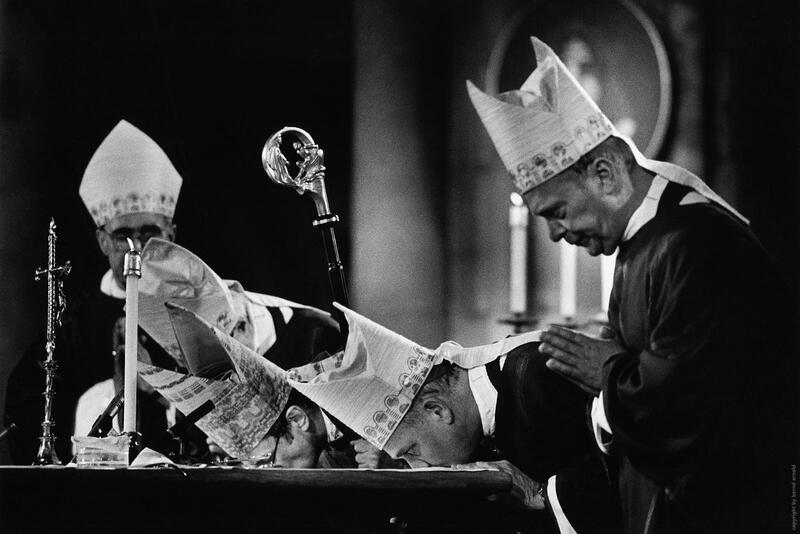 Rituale der Katholischen Kirche, Altarkuss im Koelner Dom, Deutschland, 12.2.1989. 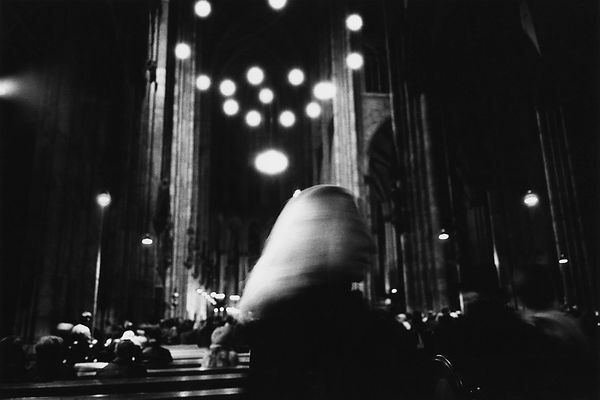 | Das Koelner Heil (Cologne Salvation) - Power and Ritual of the catholic church in Cologne, Germany, Europe. 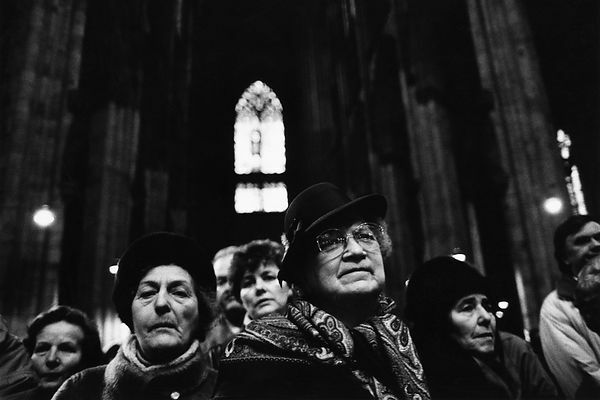 Cologne Cathedral, Feb. 12,1989. Gelatin silver print 80x120cm, mounted on cardboard, Unikat/sig., 2004.